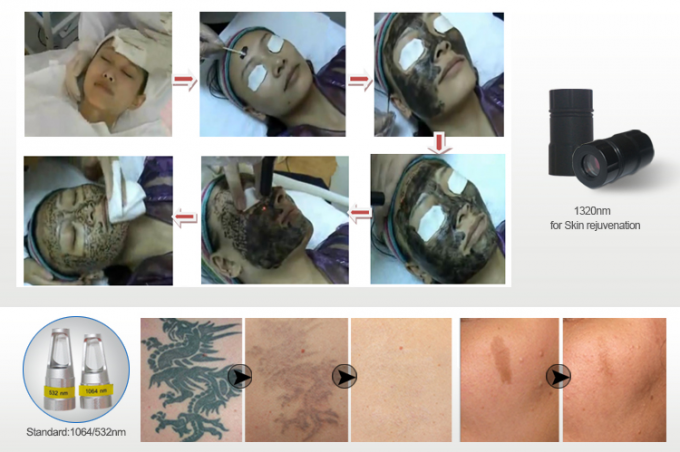 Non-ablative Laser Rejuvenation (NALR-1320nm) using carbon peel for skin rejuvenation. 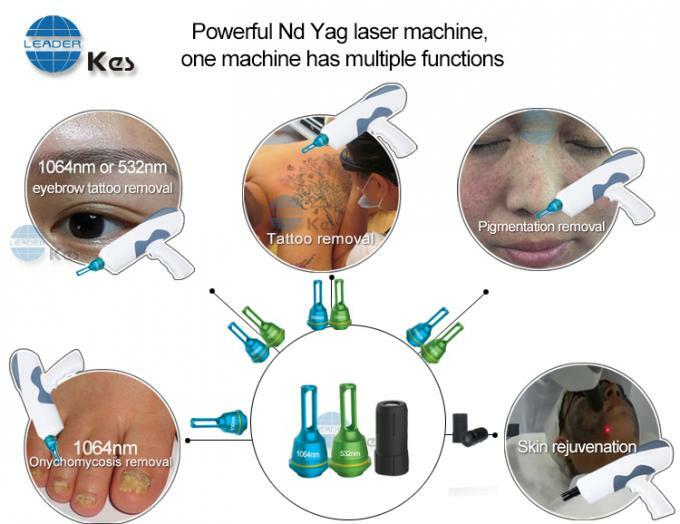 We offer you three tips, 1064nm and 532nm ,1320nm tip for multi color tattoo and skin rejuvenation. 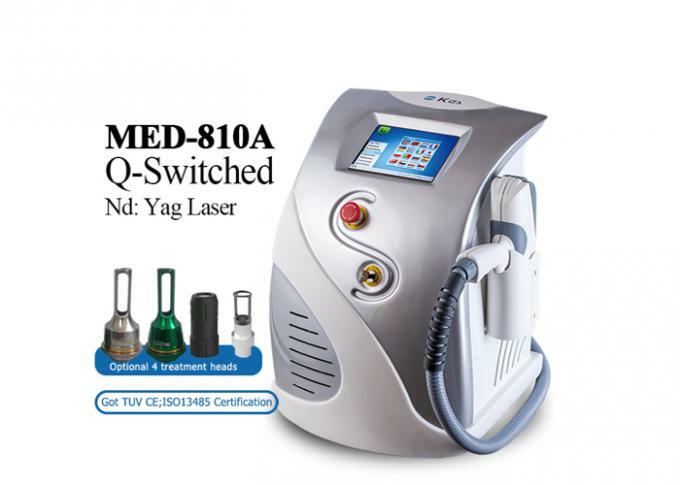 Laser technology has greatly improved the ability to treat melanocytic lesions and tattoos with the rapidly pulsed Q-switch neodymium: yttrium aluminium garnet (Nd: YAG) laser. 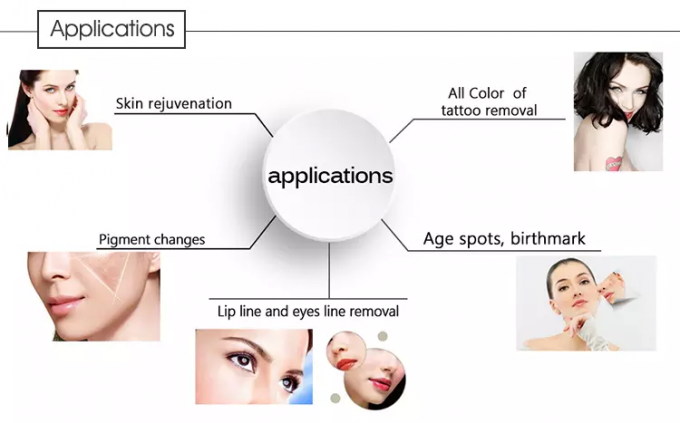 The laser treatment of pigmented lesions and tattoos are based on principle of selected photothermolysis. 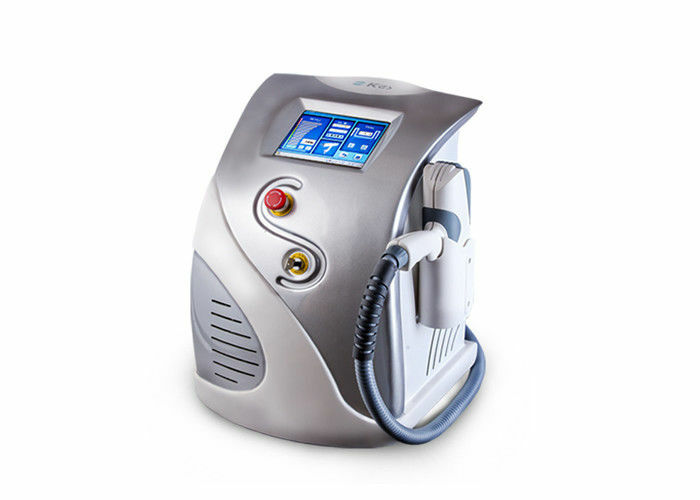 The QS laser Systems can successfully lighten or eradicate a variety of benign epidermal and dermal pigmented lesions and tattoos with minimal risk of untoward effects. 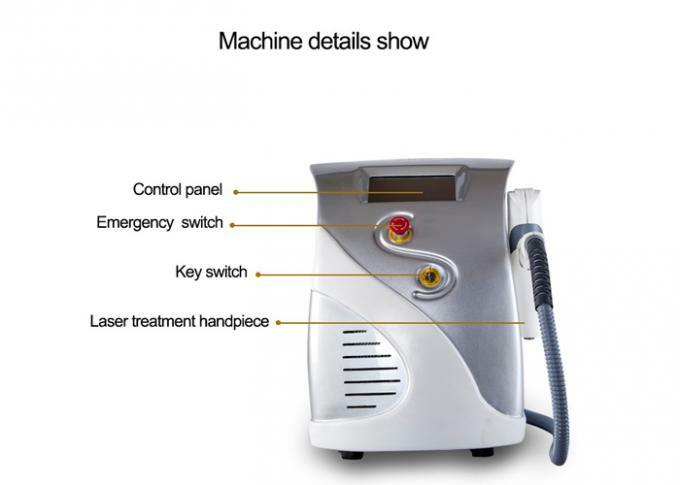 Laser pigment removal machine though high energy of laser transient emission, make irradiated pigment particles absorb energy expansion rupture. Most or all of epidermal pigment group split into smaller tiny particles immediately ruled out in vitro. Part of dermal pigment group fragment into body macrophage phagocytic particles that ingest and excrete through the lymphatic system, thereby eliminating pigment. Due to normal tissue on 1064nm laser absorption is very few, maintaining the cell frame complete. No scar formation conditions. 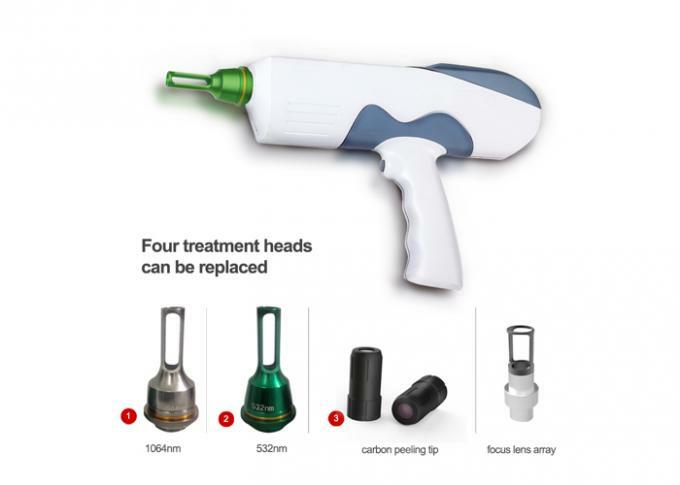 Because of the laser pigment removal is no damage to normal tissues, its security guaranteed maximum customer without complications from postoperative. Gradually the pigment becomes lighter and lighter till disappearing. Gradually the pigment becomes lighter and ligher. 1. Avaliable with 800mj by single pulse energy , 2 laser rods with Max energy of 1600mJ, professional for Dermal pigmentation removal . 2. 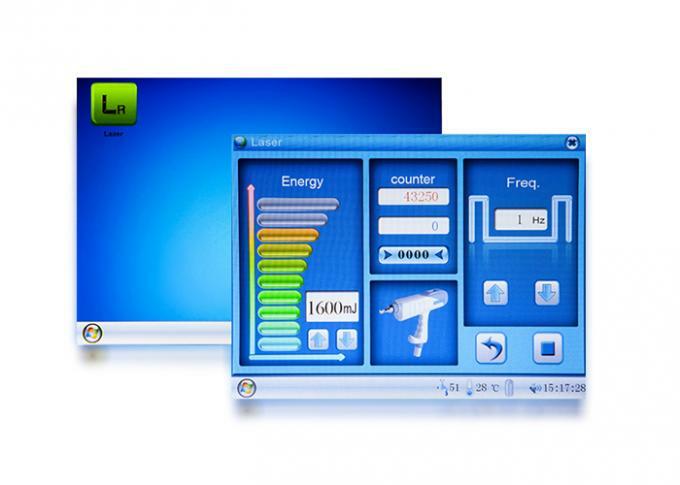 Germany TUV Medical CE approved , conform to European safety standard . 3. Inffared aiming beam ensure accurate operation . 4. Germany imported lamp ,life time over 1,000,000 shots . 5. 16 kinds of languages available for convient operation . Any problem ,Please contact with me anytime !! !